Musical monogamy has never been Christy Doran’s thing. The appropriate band for every occasion, no fixed liaison, which you inseparably associate with his name, no clear bond, but instead several affairs that blaze brightly or just glimmer on the back burner depending on needs. The whirling guitarist, born in Greystone, Ireland, and raised in Lucerne, Switzerland, never wanted to commit to one single relationship. Such a thing would have slowed him down too much in his seemingly insatiable desire for the unknown, the new, the anarchistic. But because of recurring differences and problems, Doran has now finally sent New Bag and possibly also the other amorous sidekicks out to pasture. In his 70th year of age, the guitarist now wants to immerse himself in a fountain of youth again, but in doing so he actually focuses all his creative power on a single project that he cares about more than many others before. No kidding! The dream band has long had a shining reputation: Sound Fountain, the collaboration that has existed since 2014 with Argentine bassist Franco Fontanarrosa and Lukas Mantel, one of the most innovative Swiss drummers. They are extremely close both in a human and musical sense, Christy Doran said. “It's incredibly fun to play and be with Franco and Lukas. A lot more is going to happen!” After the two celebrated live CDs “Belle Epoque” from 2015 (BTLCHR71242) and “Undercurrent” from 2017 (INTCHR 71326), this announcement can be taken literally. Their first album completely created in a studio, “For The Kick Of It”, was recorded in no man's land 200 kilometers beyond Cordoba and mixed by the legendary Australian sound master Aaron Mason. Unmistakable: the numerous tours and concerts, among others in Argentina and China, have done Doran, Fontanarrosa and Mantel audibly well, bringing them together even more than ever before to form a closed, homogeneous, organic unit. Abundant drive, highly complicated meters, sudden or strangely searching topics, but also clearly driving body rhythms, atmospheric relaxation zones, theatrical actions, electronically supported howling and chuckling, small outbursts of violence, recitative near-standstill, short pretenses of tenderness, which arise in furious sound loops or seemingly free lyrical confusion, small sound paths that quietly put themselves in the corner: all of this is transformed on “For The Kick Of It” into spiritual, artistically brilliant entertainment, created in the midst of a highly artistic flow of ideas. 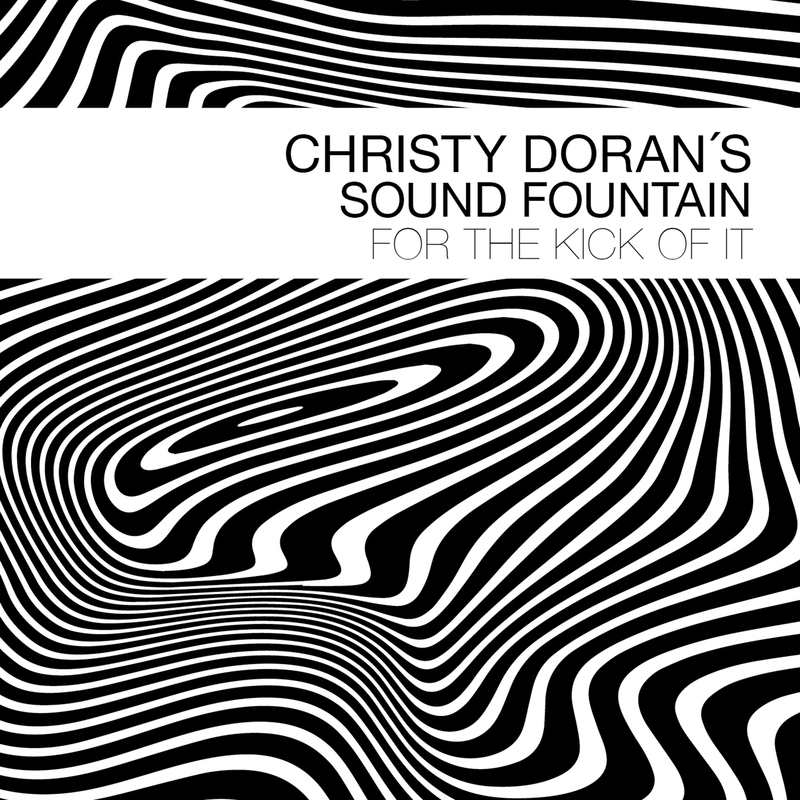 Even if it bears his name, “Christy Doran’s Sound Fountain is a collective,” which the restless spirit states unmistakably clearly on six strings. “All musicians compose for the band, I do it most, and all get gigs and tours. We are much closer to each other musically than was the case with my other bands. Everyone contributes his preferences. This creates a musically exciting and attractive program. Franco, Lukas and I all play with the same objectives on Sound Fountain.” That sounds like an equal partnership. And the complete, great love of one’s life.